Looking for a perfect Game Day recipe? 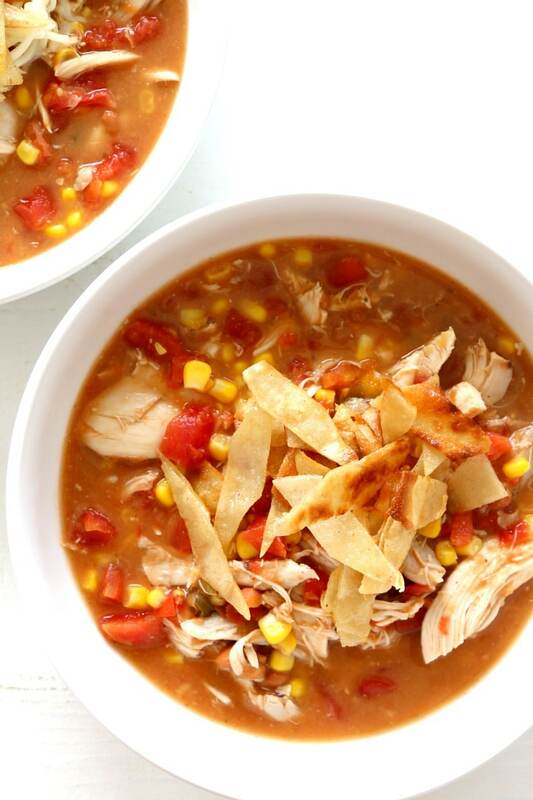 Chicken Tortilla Soup is just that! A perfect creamy tortilla soup recipe for any night makes an especially tasty and hearty meal this year. 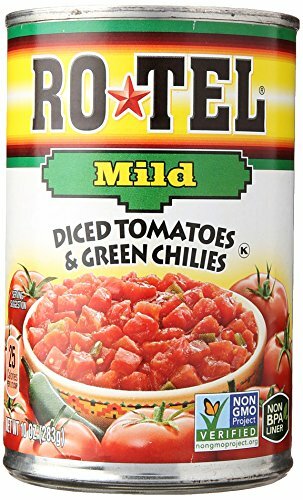 Easily made in large batches, this soup can be done in under 20 (check out some of my tips) and is a homemade classic that will leave nothing in the bowl. 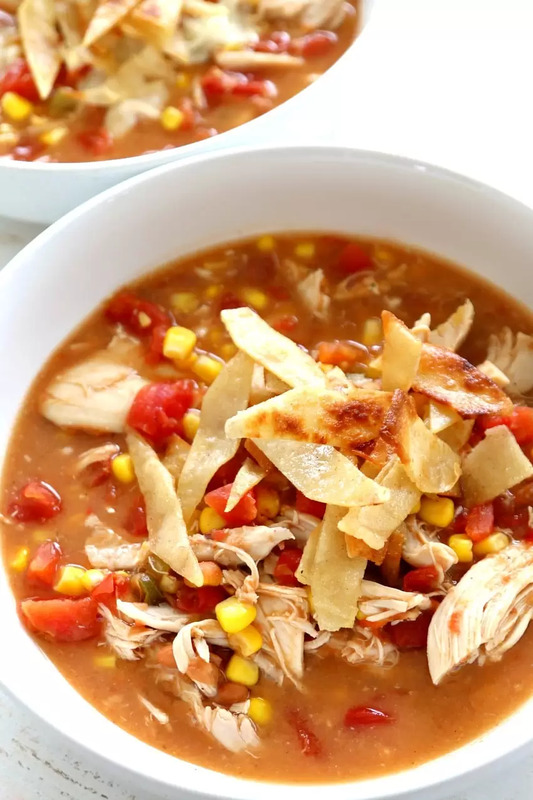 Plus, as Tortilla soup is customizable, you can use this recipe as a base to create your very own spin on this favorite. Top with crunchy homemade chips (Done in 5 minutes, I promise!) and this will sky rocket to a family favorite year round. And if you love festive soups, do yourself a favor and try this Greek classic avgolemono soup, its SO good too! 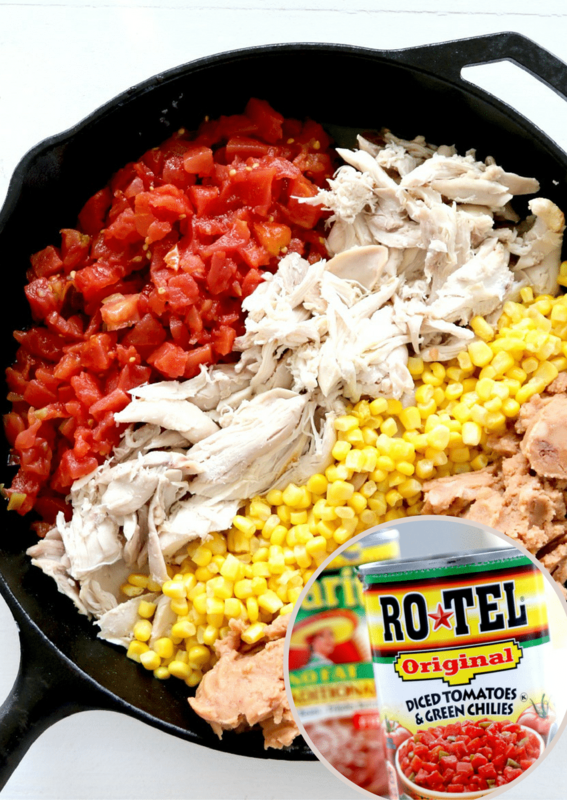 Stir together un-drained tomatoes, broth, beans and corn in medium saucepan. The refined beans make it so creamy!! Do not skip that! 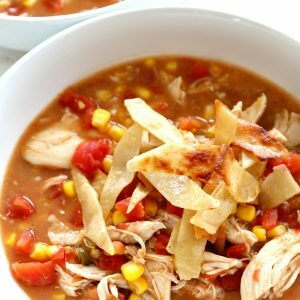 You can also easily translate this tortilla soup to a slow cooker or crock pot by adding ingredients and putting on low for 6 hours. The recipe below is for a creamy and easy chicken soup that can be done quickly! Reduce heat to low; simmer 5 minutes, stirring occasionally. 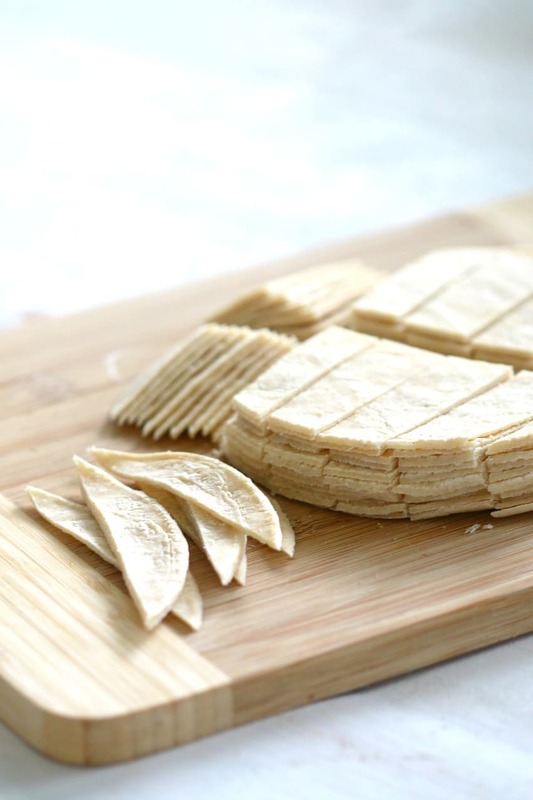 Serve soup topped with tortilla strips or broken tortilla chips . 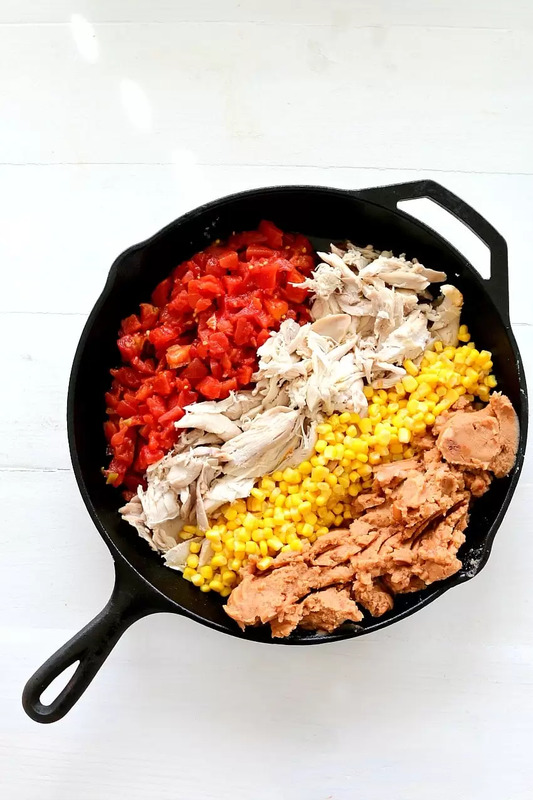 To make this meal ready in under 20 minutes, I use a Rotisserie chicken from Walmart. 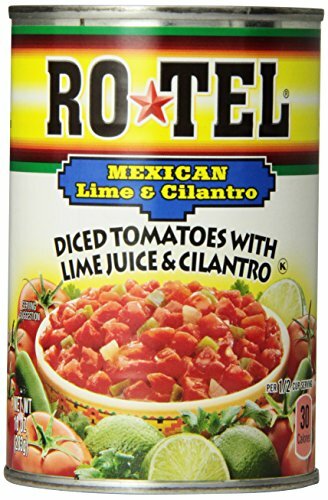 It’s inexpensive, comes cooked, and you can easily shred the chicken off of it for the soup. Another option would be to put in a slow cooker in morning and the chicken will be done in a few hours. 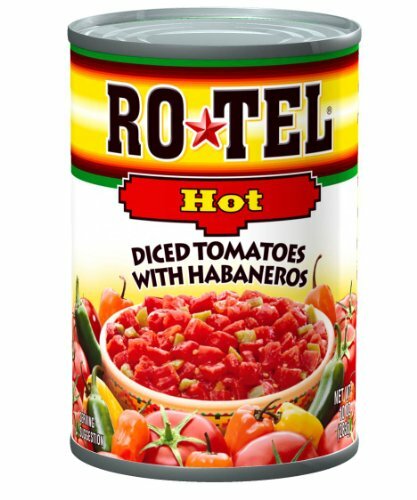 You can customize your soup by adding cheese, sour cream, guacamole, or any other similar additives to give it the exact flavors your house loves. This is SO EASY to make and so easy to make different every time. If you have never used an Immersion Blender, they really help in chopping up onions and other spice things! 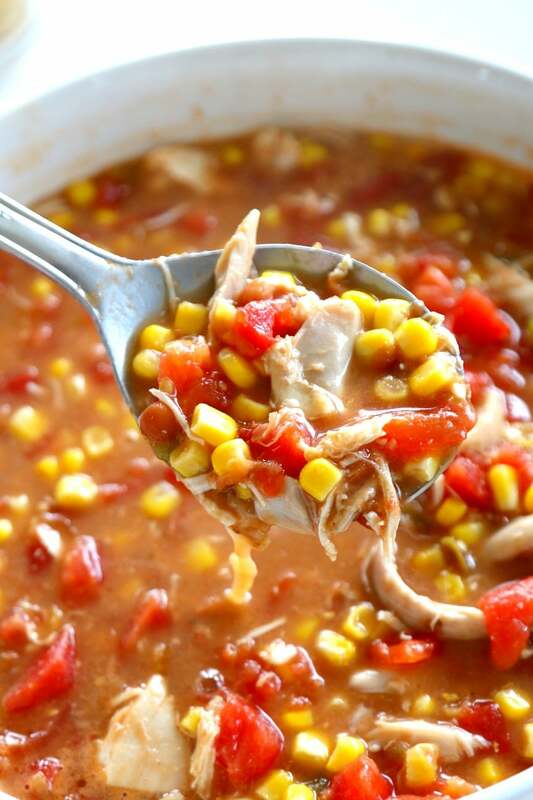 Stir together undrained tomatoes, broth, beans and corn in medium saucepan. Bring to a boil. Reduce heat to low; simmer 5 minutes, stirring occasionally. 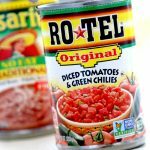 Easy Creamy Chicken Tortilla Soup recipe – A hearty soup with 5 minute homemade crunchy tortilla toppings – YUM!